Air pollution will shorten the life expectancy of children born today by an average of 20 months and will have the greatest impact in south Asia, according to a study published yesterday. In East Asia the study says air pollution will shorten children's lives by an estimated 23 months -- compared with around 20 weeks for children in developed parts of Asia Pacific and North America. 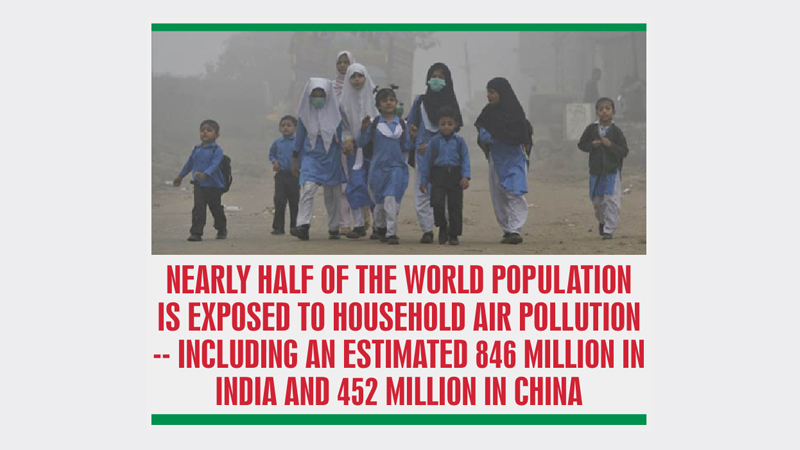 Nearly half of the world's population is exposed to household air pollution -- including an estimated 846 million people in India and 452 million in China.